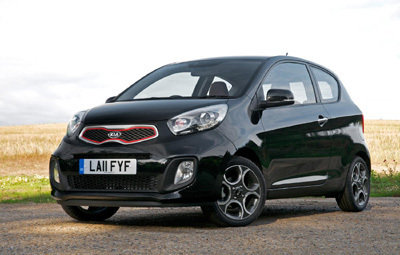 Kia’s all-new Picanto has done the hat-trick, being named Best Small Car by the Association of Scottish Motoring Writers at their Car of the Year Awards in Glasgow. Following on from the What Car? Green Awards win in the supermini segment and the Northern Group of Motoring Writer’s Car of the Year accolade, the Picanto has clearly won the hearts and minds of Britain’s motoring media this year. Launched in five door form in June and joined just recently by the three-door version, the Picanto is available with two economical and flexible petrol engines – the remarkable 1.1 litre three cylinder Kappa and the more powerful 1.25 litre four-cylinder alternative. Kia Motors (UK) Ltd., Managing Director Michael Cole commented: “Last year we were delighted when the Scottish Association awarded the overall title to the new Sportage and this recognition for Picanto simply emphasises just how Kia is bringing the right products to the market at the right time. “With economic conditions not picking up, people are looking to down-size and want to stretch the domestic budget still further. Picanto does that for them and of course retail customers can be sure of our quality thanks to our unrivalled bumper to bumper and fully transferable seven year warranty,” he added.